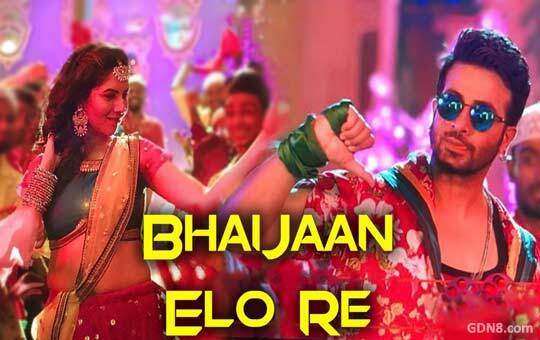 Bhaijaan Title Song Lyrics This Eid Special Song 2018 Starring: Shakib Khan, Srabanti Chatterjee and Paayel Sarkar Bhaijaan Elo Re Bangla Movie Eid Title Song On a Roll With 100 Dancers Directed by Joydeep Mukherjee. News about Bhaijaan Title Track Lyrics: Great news for all "Shakib Khan" lovers, He is come with his first brand new and fresh Bengali title track/song. The lover boy Shakib Khan And sweet cute also gorgeous Srabanti Chatterjee is the starring Main Lead Role In This Movie After the huge success of Blockbuster Movie Shikari (2016). Others cast is Paayel Sarkar, Dipa Khondokar, Rajatava Dutta, Biswanath Basu, Shantilal Mukherjee and Others.